Gentle readers, do you like to polka? 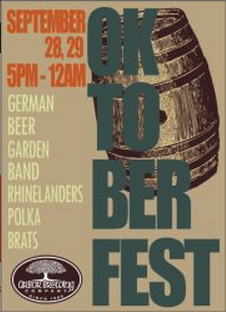 If so, you wont want to miss the Oktoberfest Block Party this Friday and Saturday at Arbor Brewing Company. It's always a super fun event. There's beer, brats, veggie brats, music from the Rhinelanders and you might even see Matt and Rene in lederhosen and a dirndl, respectively.